We were overwhelmed with the response to last week’s Iron Man MkVII Statue Giveaway! Thanks to all the enthusiastic participants and to Kotobukiya for providing such an excellent prize. Be sure to keep your eye out for more Kotobukiya giveaways in the coming weeks. 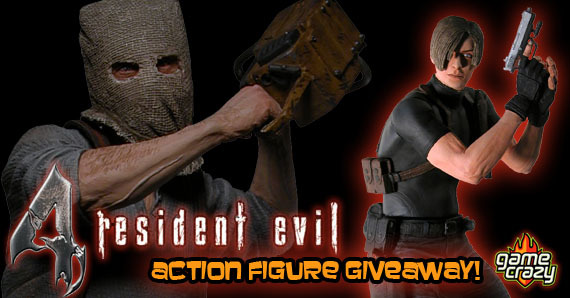 Now that the lucky winner has been chosen, we’re turning our attention to this week’s giveaway, a pair of incredibly detailed 7″ action figures based on characters from Resident Evil 4! The long-running Resident Evil video game series has always featured intense zombie-fighting action on the part of those brave enough to face the monsters. This 7″ figure of main character Leon Kennedy is ready for action, which he’ll definitely see as he attempts to rescue the president’s daughter from a mysterious cult! He’s fully articulated and comes with assorted gun, knife and grenade accessories. 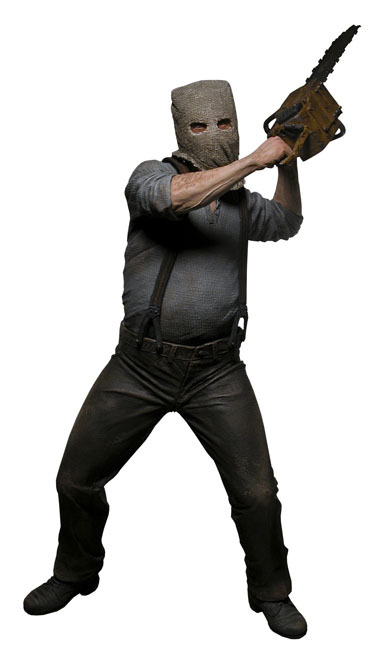 This chainsaw wielding Ganado was once a simple farmer until he was infected with mind-controlling Plagas. Now he and an entire village serve Los Illuminados. The figures comes with a chainsaw accessory. Resident Evil 4 Action Figure Giveaway – Ada Wong and Verdugo! 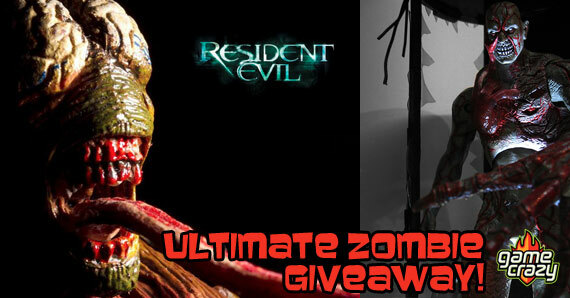 Resident Evil Action Figure Giveaway – Sheva Alomar & Crimson Head Zombie Rare Resident Evil Action Figure Giveaway – Executioner Majini Japanese Edition! Ultimate Resident Evil Giveaway: Win the entire 10th Anniversary Action Figure Set! Player Select Action Figure Bundle Giveaway! Bioshock 2 Rare Action Figure 2-Pack Giveaway! 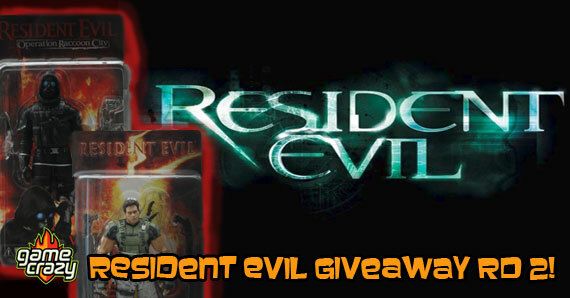 Resident Evil Giveaway #2 – Chris Redfield and Vector Action Figures Borderlands Giveaway – Jakobs Claptrap Deluxe Action Figure! This entry was posted in Contests & Giveaways, The GC Blog and tagged giveaways, resident evil 4, resident evil giveaway by gcadmin. Bookmark the permalink.